Please contact Jennifer Min at jennifer@BRAWS.org for details! We are happy to announce an exciting opportunity to gain major exposure for your business AND directly impact the lives of those in our community while supporting BRAWS mission. We are in the process of obtaining THREE tampon/pad dispensers to be placed in the Vienna Community Center and the Town Green. These would dispense needed items for free and would be restocked for one year. At that time, the goal would be for the town to add the yearly cost of these dispensers to their budget. We have already placed similar dispensers in a number of schools with great success and are so excited to be able to do the same right in our town! Each dispenser would cost $1500- this includes supplies for one year. As a sponsor, your company/organization’s name and logo would be displayed on the dispenser with wording to note that the dispenser was donated by your organization. 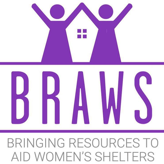 We have ONE Sponsorship available at this time- so please contact Jennifer at Jennifer@BRAWS.org immediately if you are interested!